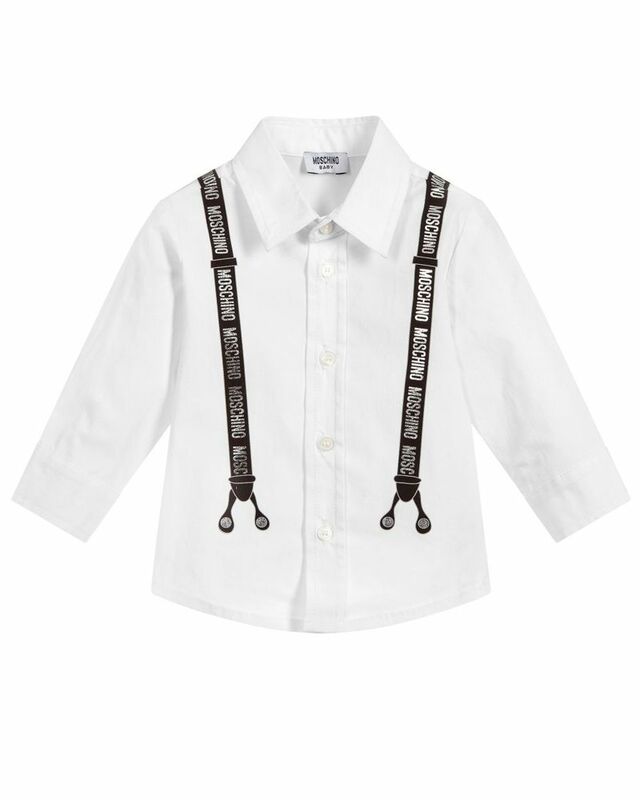 Moschino soft cotton white button down shirt with graphic print faux suspender detailing. 95% Cotton, 5% Elastane. Made in Portugal.